After Yamaha has launched Yamaha FZ1 and Yamaha SZ R, international bike maker Harley Davidson India has introduced 2 new models in the country. 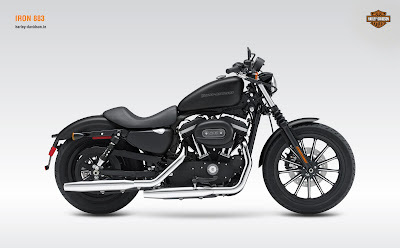 The new entrants are Harley Davidson Superlow and Harley Davidson Iron 883. The new bikes in India are priced between Rs 5.50 lakh to 6.50 lakh. As per the press release of the company, you can book these new bikes from 1st January 2011. 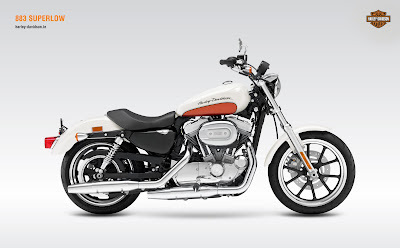 The Harley Davidson Superlow has been loaded with a massive engine displacement that is 883cc- V Twin type. This new bike model in India has got low seat position as other Harley bikes in India; these types of bikes are best suited for long drive on highways. The other newly launched bike that is Harley Davidson Iron 883 is also endowed with 883cc evolution powertrain. Black colour is used to give the bike blackout theme. Good new before the begnining of the new year. its nice review post,very informative,its nice to hear tht Harley Davidson brings two new bikes in india.well harley davidson model was so excellent & stylish,hope these are more better than last once. Killer Harley Davidson is making its good appearance in the Indian market.